AU Optronics this week has announced plans to start shipments of 8K panels for large UHDTVs in the first half of 2018. The panels will enable TV manufacturers to produce “Super UHD” 8K TVs to compete against LG and Samsung later this year. The lineup of panels featuring a 7680×4320 resolution will be aimed at ultra-high-end TVs and sizes will range from 65 to 85 inches, said Liao Wei-Lun, president of AUO’s video products business group, at a press conference. The high-ranking executive did not disclose other specifications of the panels, such as luminance and contrast ratio, but given their positioning, it is logical to expect their characteristics to be comparable to 8K UHDTVs to be offered by LG and Samsung. Multiple TV makers demonstrated various 8K UHDTVs at various trade shows in the recent years, but so far no one has started to sell them. Given the lack of content, it is hard to expect high demand for 8K televisions in the next couple of years, aside from the halo factor - nonetheless, AUO expects 8K panels to account for 10% of its '65-inch and above' panel shipments in 2020. The presumably high-cost of the panels would indicate that in terms of unit shipments this might still be a low-ish number. However, as with 4K displays, someone has to release 8K TVs to stimulate content providers to offer appropriate material. At this year’s CES, Samsung demonstrated its Q9S, its first commercial 8K TV-set, but it did not announce its pricing or availability timeframe. LG and Sony also demonstrated their 8K TVs at CES 2018, but nothing is clear about their plans regarding these products. Since AUO intends to start mass production of the 8K panels for UHDTVs in the coming months, it is highly likely that it has customers willing to use them for their products already. Because we are talking about volume manufacturing, it is likely that AUO’s partners have already developed their UHDTVs based on the early development panels and we are going to see AUO-based 8K UHDTVs later this year. With Samsung, LG, Sony and various AUO partners onboard, it looks like 8K UHDTVs will finally start to be commercialized this year. 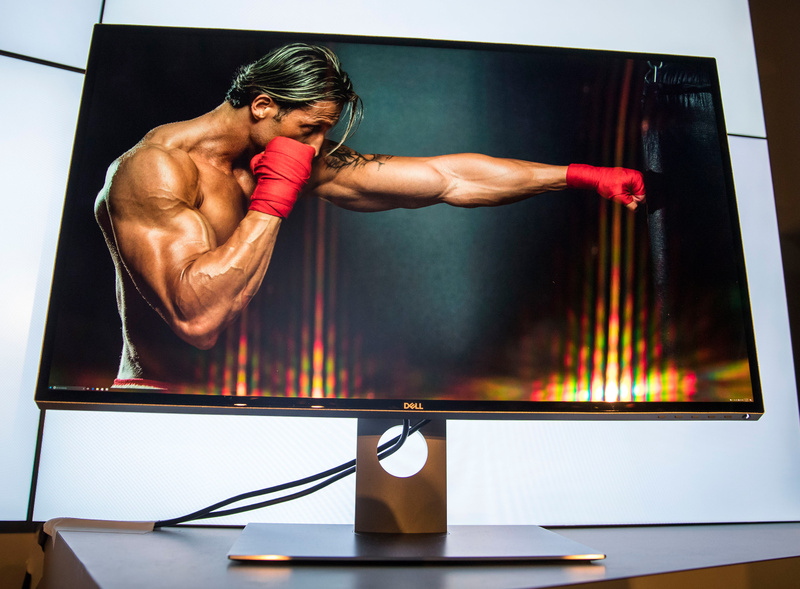 As for 8K displays for PCs, Dell is currently the only company to offer an 8K monitor (this one is based on a panel from LG, so the latter might introduce its own 8K display at some point). 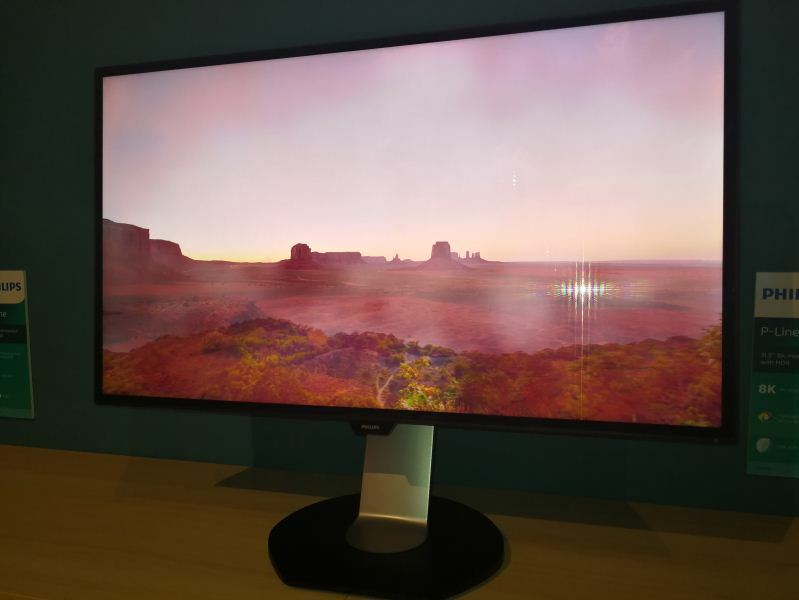 Philips last year promised to start shipments 328P8K monitor in 2018, so expect the product to hit the market in the coming months too. I'm referring to usable pixel workspace too and not sharpness. The problem is you don't have eyes good enough to make use of it at that high of a DPI (8k at 40") -- unless you sit like 1-2ft (max) away from the monitor, which is terrible for your eyes (and EMF gets to your face) and actually detracts from the workspace because you need to move your head.